John J. “Jack” Guinta died peacefully surrounded by his family after a short illness. Born February 21, 1928 in Mt. Vernon, NY to John & Principia Torello Guinta, the family moved to Port Chester, NY when he was an infant. Jack was educated in Port Chester Schools & graduated in 1946. He attended Fordham University, graduated in 1950 & received his Masters Degree from New York University in 1955. 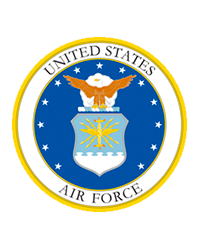 He was commissioned as a 1st Lieutenant in the United States Air Force, serving from 1950 – 1955. His service was mostly based in Alaska as an aircraft-based radar operator aboard a F-94 Starfire, a two-seat fighter. He married Muriel Janz on September 2, 1956 & began his working career as a history teacher in the Port Chester School System, eventually becoming an Attendance Teacher in 1968. He served the school system and its students for over fifty years. Jack was a lifelong parishioner of Corpus Christi Church, serving as a volunteer for bingo, the annual carnival as well as the head usher for decades. Jack’s true passion in life was baseball. Learning the game at an early age, he was a star shortstop for Port Chester Rams (Captain & All County Selection his senior year) and was a four-year starter and captain in 1950 at Fordham University. He played semi-professionally for the Corpus Christi Holy Names, Greenwich Majestics, among others and the Stamford Twilight League, until age forty-two. Jack was a baseball coach for several years at Port Chester High School, guiding the 1967 team to a 19-2 league championship season earning numerous “Coach of the Year” honors. He served as an umpire in the Westchester County Baseball Association for close to thirty years. He was predeceased by his parents and sister, Florence Northam. His survived by his wife Muriel, daughter Kimberly of Port Chester, son Scott of Sherman, CT and son Brett (fiancée Sarah) of Greenwich, CT. He also leaves behind granddaughters Jessica & Jennifer Lopriore, grandsons John & Zachary Guinta, one great granddaughter, Ariana Lopriore, and numerous nieces & nephews. In lieu of flowers please consider a donation to St. Judes Childrens Hospital.